Nutmeg uses nutmeg essential oil includes energizing and uplifting! It also supports nervous and endocrine systems and prostaglandin balance*. Many of the medicinal Nutmeg uses were first discovered by the Chinese and now are a vital part of Chinese culture. Today, we still use nutmeg as an essential oil energize and balance. Did you know that the original Coca-Cola contained essential oils? Yes it contained Coriander (Cilantro), Cinnamon, Orange, Lemon, Neroli and Nutmeg Essential Oils. This original concoction that many people drank was full of esters that are known for their soothing and relaxing properties! My favorite blends that contain Nutmeg essential oil are Endoflex (supports endocrine system), En-R-Gee and Magnify Your Purpose essential oil blends. More Nutmeg uses? There is more! Keep reading for more information on how to use it and what to use it for. This section will also provide you with some fun suggestions, safety precautions for you and your pet! As I receive new tips and testimonials for Nutmeg Uses they will be added to the page, so check back frequently! 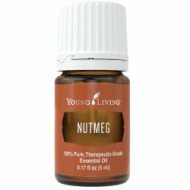 Want to Purchase Therapeutic Nutmeg Essential Oil? Buy Nutmeg Essential Oil Here! Why is this information important? There are many species of Nutmeg however the most commonly used is Myristica fragrans. It is native to the Banda Islands of Indonesia and also grown in Grenada in the Caribbean and Penang Island in Malaysia. It’s always important to know your genus species of your oil. Just the common name on the bottle doesn't really tell you exactly what you’re getting. So always purchase by genus species and common name! Where did the name come from? Nutmeg may go back to the Arabian word "mesk". The French translation is noix muguette and the English may have shortened it to “nutmeg”. Sounds to me, like we really don’t know for sure! What Part of the Plant is Used? Fruits and seeds. Did you know that Nutmeg is contained in Hildegard’s Medicine Book? Hildegard of Bingen (1098-1179) was known as the first herbalist and naturopath of the middle ages. Her book documented her work. What are the Documented Nutmeg Uses and Benefits? It may support healthy nervous and endocrine systems; and prostaglandin balance*. What is the Aromatic Affect on the Mind? Its sweet and musky aroma brings encouragement and spontaneity. What is the Spiritual Influence? Nutmeg is not only calming to the body but it also has a profound effect on our emotions. It releases doubt and resistance. And allows us to embrace flexibility, spontaneity, and joy so we can move forward easily in our life and our career! What Chakra is Affected? The sacral, solar plexus and heart chakras. Interested in Dietary Nutmeg Essential Oil for Your Culinary Adventures? 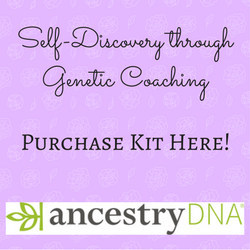 Then check out Nutmeg Vitality Essential Oil! Can this Oil be used for Animals? Yes, in very small amounts. I do not use Nutmeg as an individual oil on the animals, and if I did I would use with caution. But you can use the blends that contain nutmeg uses that are described in the introduction! I do every day! What are the Safety Precautions? Only therapeutic grade essential oils should be used for healing results. Because it is approved as a Food Additive (FA) by the FDA, Nutmeg Oil is readily available on the market in many different qualities. Extreme use may cause mental discomfort or delirium, and could over stimulate the heart. Use caution and always dilute. f pregnant, nursing, taking medication, or have a medical condition, consult a healthcare professional prior to use. Did you know that members of the Chinese royal courts carried small ivory boxes filled with powdered nutmeg? They sprinkled it in their wine to increase the hallucinogenic effect of the nutmeg! Did you know that Saint Theodore the Studite who lived from 758-826 allowed his monks to sprinkle nutmeg on pease pudding (porridge)? Go to the Oil Shop! Buy Nutmeg Essential Oil Here! Massage nutmeg oil (diluted) on and around the VitaFlex points around the ankles.